This Halloween, on Friday October 26, enter Currumbin Wildlife Sanctuary if you dare… FestEVIL at the FANGtuary promises a night brimming with creepy crawlies, winged creatures and things that definitely ‘go bump in the night’. Visitors of all ages are encouraged to enter the Sanctuary from dusk – at their own risk – for a family night of frightful fun, designed to tickle the senses with a number of nocturnal activities. 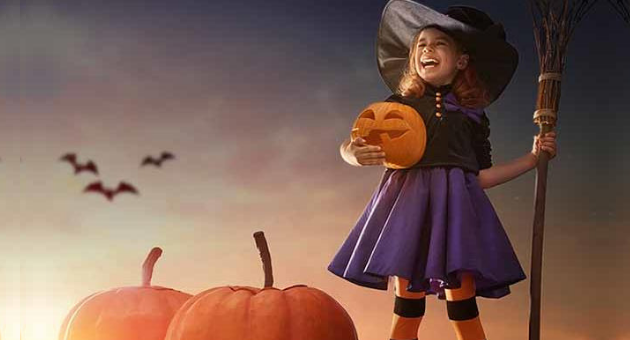 Don your spookiest outfit and hop aboard the themed ghost train, snaking your way through the Sanctuary at night. Or, explore the nocturnal corridor and discover what bats really get up to after dark, stopping to have your photo taken with slithering snakes and watchful owls. National Trust Currumbin Wildlife Sanctuary General Manager Michael Kelly said that FestEVIL at the FANGtuary is the perfect opportunity for some unique family entertainment. If you’re looking to make a night out of it, be sure to arrive for an early dinner at the Sanctuary’s Friday night markets, which are on every week on the Village Green. Then, kick off your evening of spooks and scares when the gates open at 6pm. Entry to the FANGtuary is $15 per person, or $12.50 per National Trust Member. Kids under four are free but must have booked a ticket to be admitted and must be accompanied by a paying adult. “Tickets to the event are limited, and I’d encourage anyone interested in attending our FestEVIL at the FANGtuary this year to book online early to avoid disappointment,” Michael adds. For more information, or to book tickets, head to www.currumbinsanctuary.com.au.